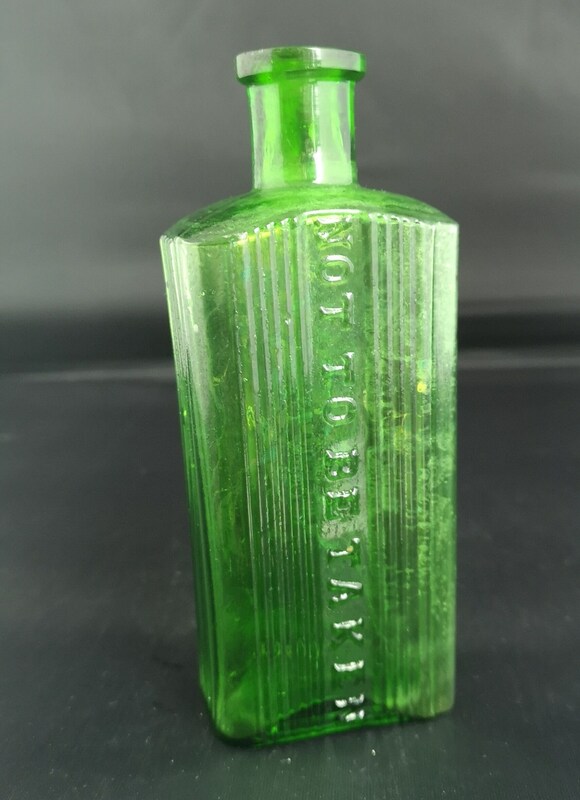 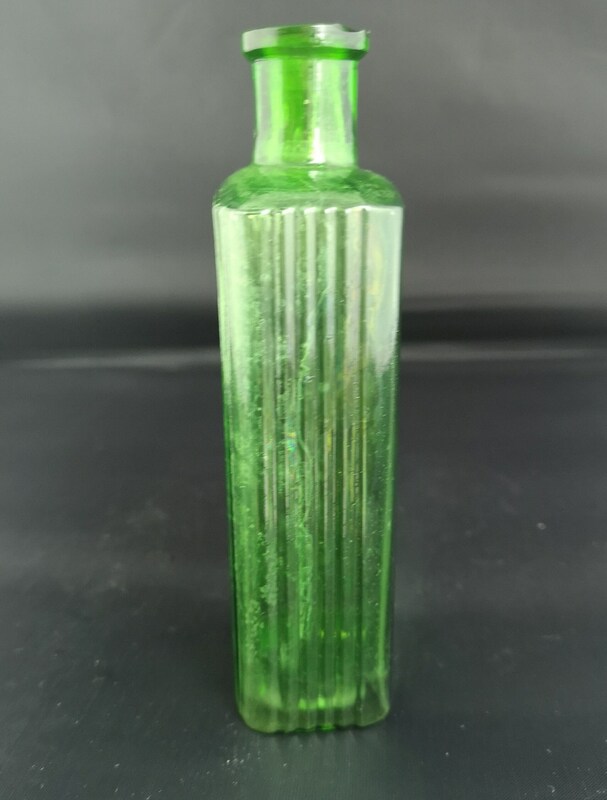 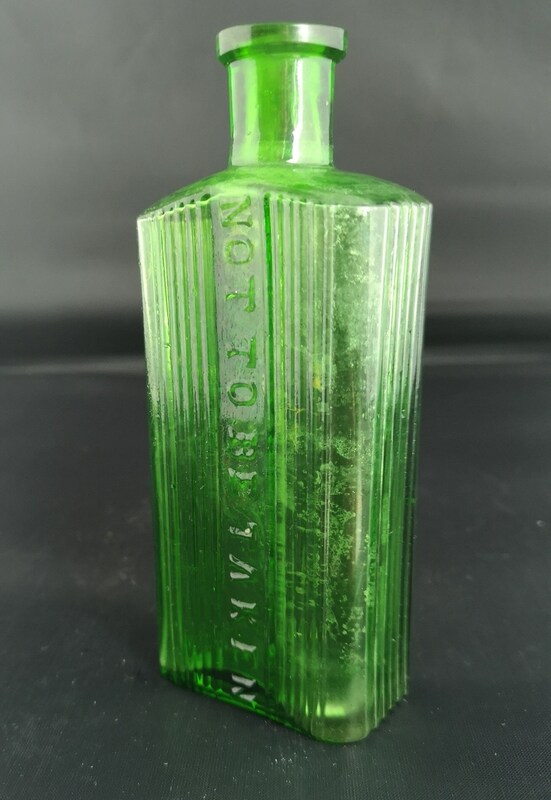 A fantastic late Victorian Green glass apothecary bottle. 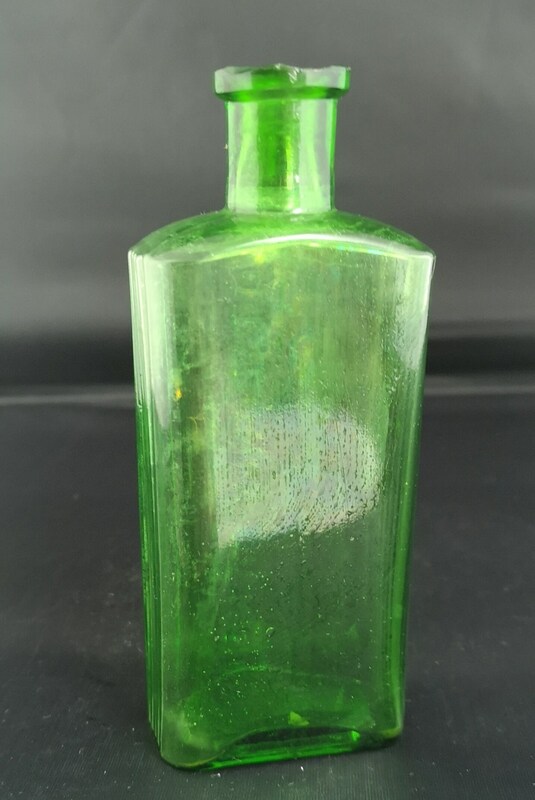 A chemist's bottle, ribbed green glass with a rectangular shape and the words 'Not to be taken' written down each side. 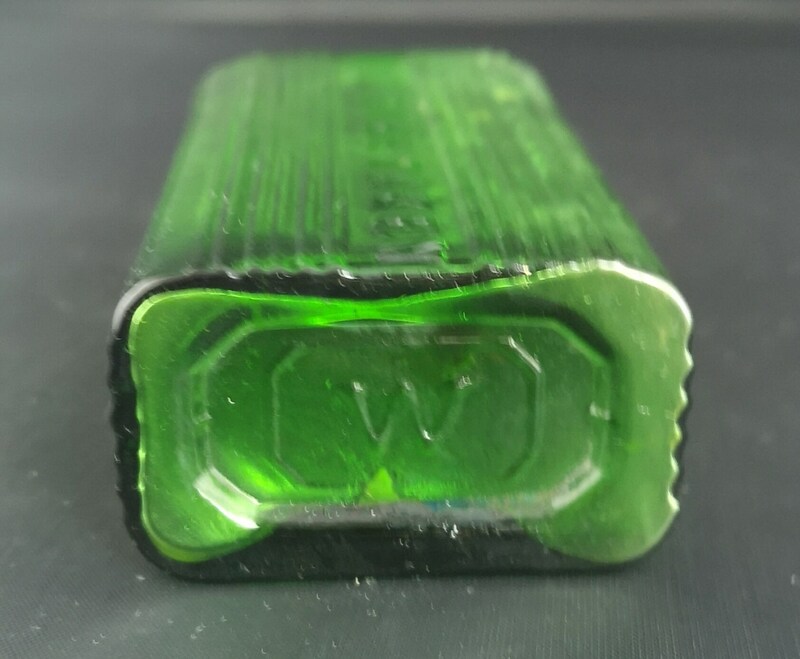 Good condition overall, sign of use and wear, small chip to the rim. 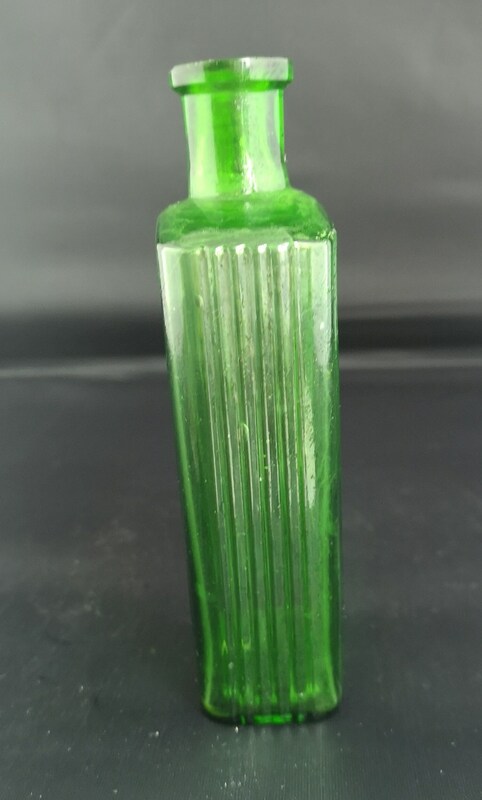 Marked on the base with an impressed W.
Approx 5" height, 2" width and 1.25" depth.